These facts suggest that giving is not just a New Testament teaching, but a New Testament emphasis. Our own experience backs up this conclusion. We find that Christian workers who don't give are usually very problematic in other areas as well. In fact, refusal to give is a key symptom, pointing to deep, sometimes unseen spiritual problems like lack of self control, selfishness, secret drug or gambling addiction, hostility toward the church, and many others. As such, leaders' teaching should reflect an emphasis in this area, but many leaders mistakenly overlook stewardship in their leadership planning and assessment. Consider the following points in building an effective leadership approach in this area. 1. The first thing to do is review the theology of church and personal finance. Carefully study the paper, "The New Testament Pattern of Church Finance." Also, reading such as Gene Getz, A Theology of Material Goods is excellent. Developing your own strong convictions on giving must precede effective leading in this area. Teach these principles in home church. 2. According to Luke 16, your disciples will never be trusted by God to take care of the riches of the church unless they first become faithful in stewardship. When we think about our own history, it is not surprising that God picks this objective area as a litmus test for reliability in ministry. Crying out Hallelujah or standing to teach are easy to fake, but giving our money away in good quantity is something the selfish refuse to do. If people are serving God for selfish reasons, they will betray their true motives by their refusal to give. 3. Not only is non-giving a sign of selfishness, it may also be an important cause. The act of giving teaches us to view our riches as belonging to God. Giving is a discipline that constantly forces us to curb the flesh and live out our priorities in deed, not in word. 4. Not surprisingly, successful and well-led home churches are consistently among the top giving home churches. 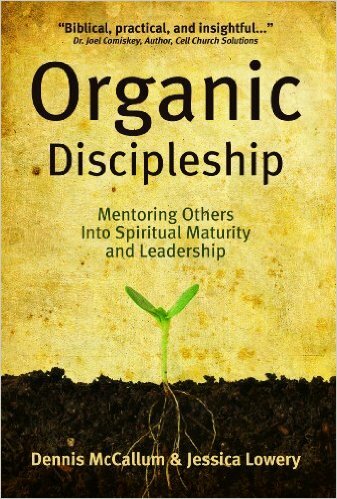 Weak giving churches are generally also weak in growth and discipleship as well. This correlation is predictable based on Luke 16. 5. Non-giving disciples will be rejected from the servant team by Xenos elders. Not only must deacons belong to the Fiscal Support Team, they must have a history of consistency in this area. Therefore, if you are hoping to raise up leaders, you must see progress in this area. Start early with your disciples teaching them the reasons for giving and encouraging them to begin practicing this central area of Christian living. Help disciples learn sound principles of personal finance, including getting out of excessive debt. If spending or debt is out of control, urge them to take one of the Gift personal finance classes. 6. Your annual stewardship presentation to the home church or your cell groups in January should be well-studied and strong. Consider using a combined cell group if you are worried about teaching on stewardship with nonChristians present. Consider approaching members beforehand with the idea that you would like to have the whole church take a stand together to make pledges at the presentation, and you will bring the pledge cards up to the office as one. Have testimonies ready from members who joined the Fiscal Support Team and experienced the presentations for the first time that year, or testimonies from those who have turned the corner in the area of stewardship. 7. Occasionally have missionaries who are raising support come to your home church or combined cell to present their mission. Urge your members to get involved as prayer partners and supporters. 8. Mark well those members who you know are strong givers and use them as examples to the church. This was done in the New Testament church (Paul used the Macedonians as an example to the Corinthians in 1 Cor. 8, and Barnabas and others were known to the whole Jerusalem church as having given up property for the common good according to Acts 4:36,7). 9. You should periodically ask your key disciples how things are going with their giving. Many leaders are surprised when they nominate disciples to the Servant Team, only to find out they haven't been giving. Ask your supervisor for feedback on how your home church is doing on giving. The office can't share specifics on your members' giving, but they can tell you how your group is doing.